This is the Golden Rule of Christmas cooking: no matter how much (or how little) food you think you’re cooking, you will always have leftovers. Lots of families happily tide themselves over on leftovers from Boxing Day to New Year’s – some of us even look forward to it! The key to successful leftover management is variety. Even the most avid Christmas enthusiast is going to get bored of the same turkey sandwiches by day three, so you’ve got to mix it up! We’ve got some helpful tips and recipes so that you can make the most of leftover holiday dinner staples and make sure no leftovers get left behind! You’ve come to the right place! Turkey and chicken can be used interchangeably in almost any recipe, so as the chicken experts, our recipe site has plenty of ideas for what you can do with that leftover bird. 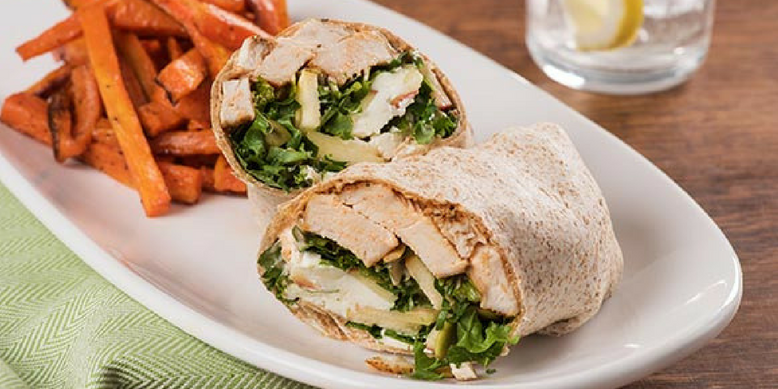 Some of our personal favourites include Spiced Chicken Wraps with Carrot Fries and Penne Pasta Salad with Julienned Chicken. And wait! Don’t throw out that turkey carcass yet! You can use it to make delicious, super-nutritious stock that you can use to make hearty soups that will keep your family warm through January! 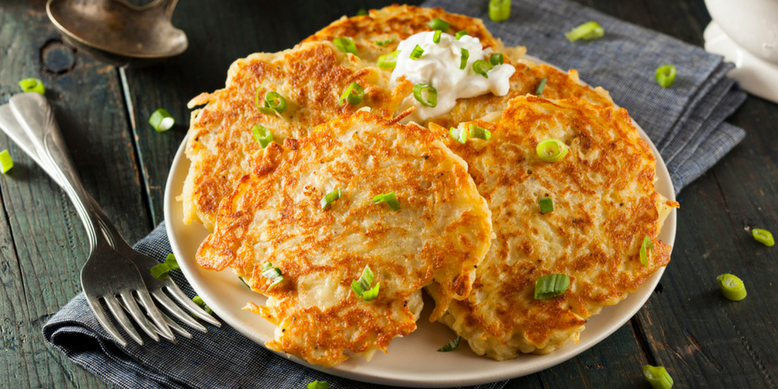 Take leftover mashed potatoes from Christmas dinner leftovers to Boxing Day breakfast mainstay by frying them up into boxty on the griddle (traditional Irish potato pancakes). Since you’ve already got the potatoes all mashed up, half the work is already done! More of a waffle person than a mashed potato pancake person? That’s okay, because you can make waffles out of leftover stuffing! This is truly a great day for breakfast lovers everywhere. Since it’s past breakfast and we’re feeling a bit snackish right now, we’re going to grab some chicken bacon and stuff ourselves with these bacon-wrapped stuffing bites. 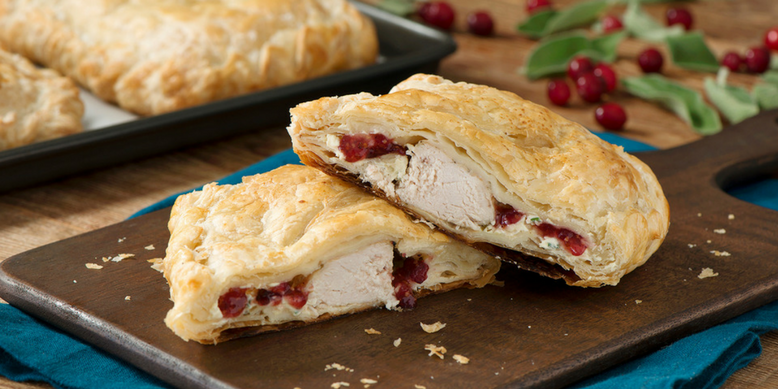 Impress your post-Christmas dinner guests with this Cranberry Dijon Chicken Wellington! It only looks complicated, but feel free to tell guests you slaved over it for hours; we’ll back you up! Leftover cranberry sauce also makes a perfect glaze for grilled meats, an awesome ice cream topping, or a filling for homemade pop-tarts! 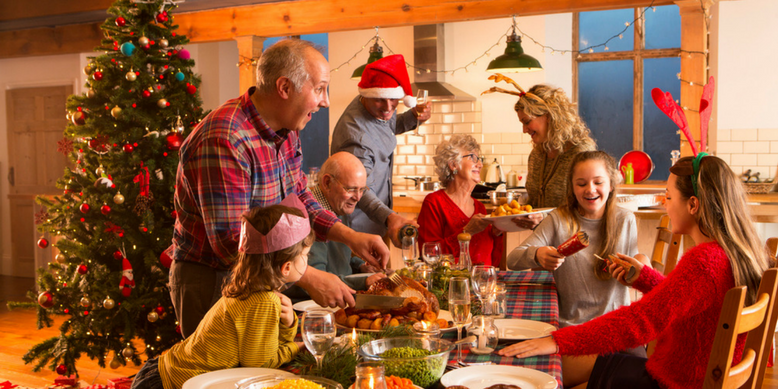 Here’s to a food waste–free holiday season!